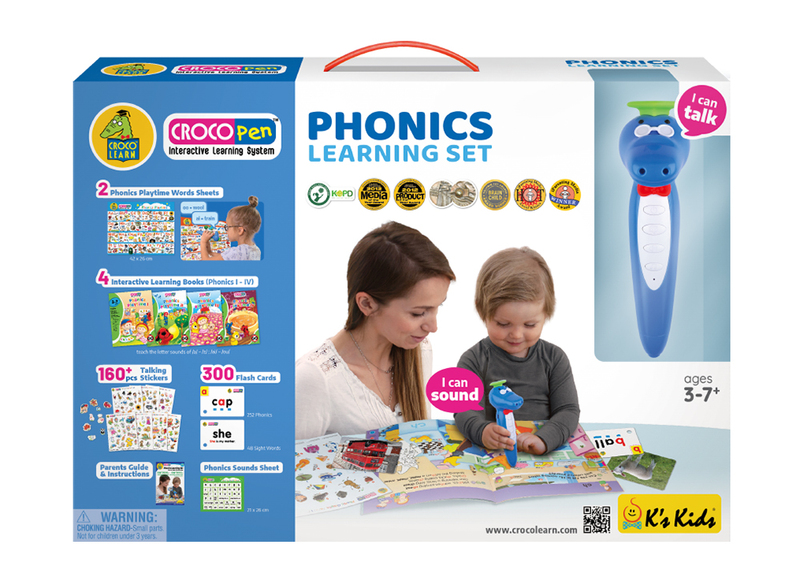 CROCOPen™ Phonics Learning Set provides the foundation for children to learn letter sounds, words formation, blending, sound in words, and sight words. 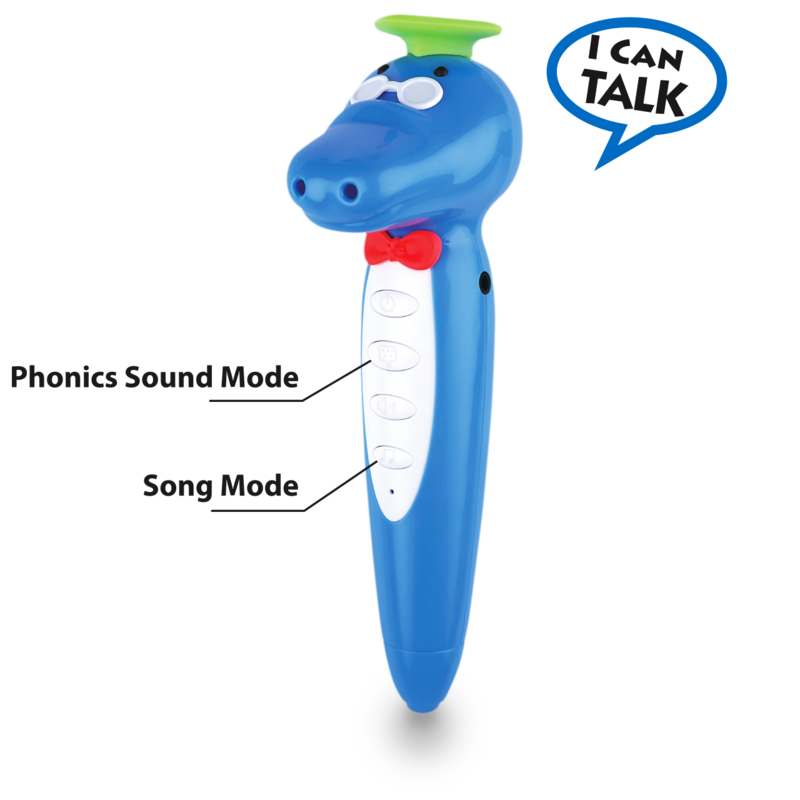 Most importantly, all sounds are recorded by native English teachers and are stored in the Phonics Learning CROCOPen™. 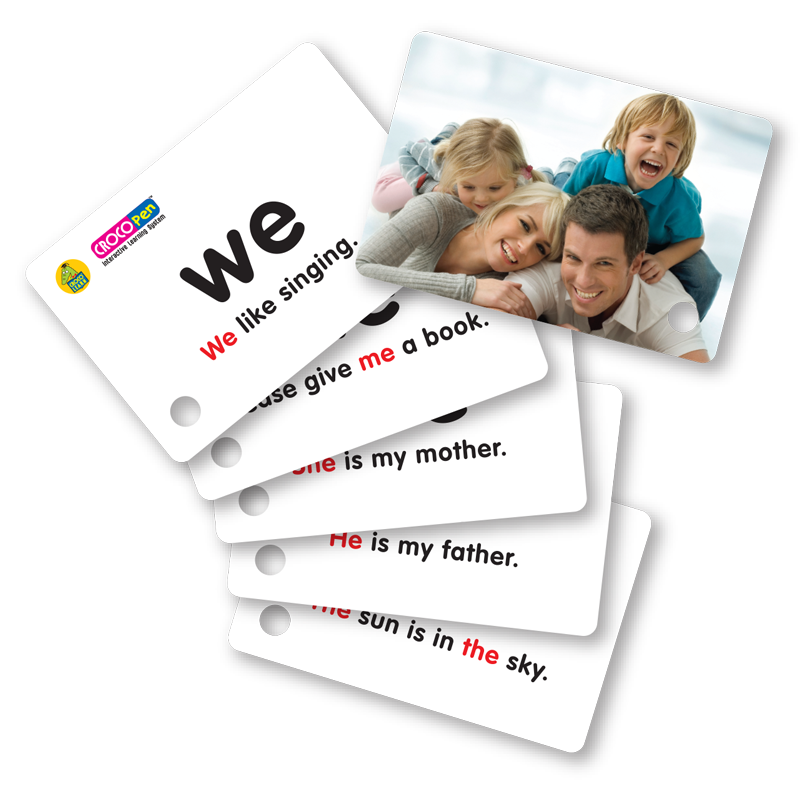 Children can listen, follow, and learn accurate English pronunciation anytime and anywhere they go with CROCOPen™. Revolution Slider Error: Slider with alias product-phonics not found. 4 books of advancing levels. 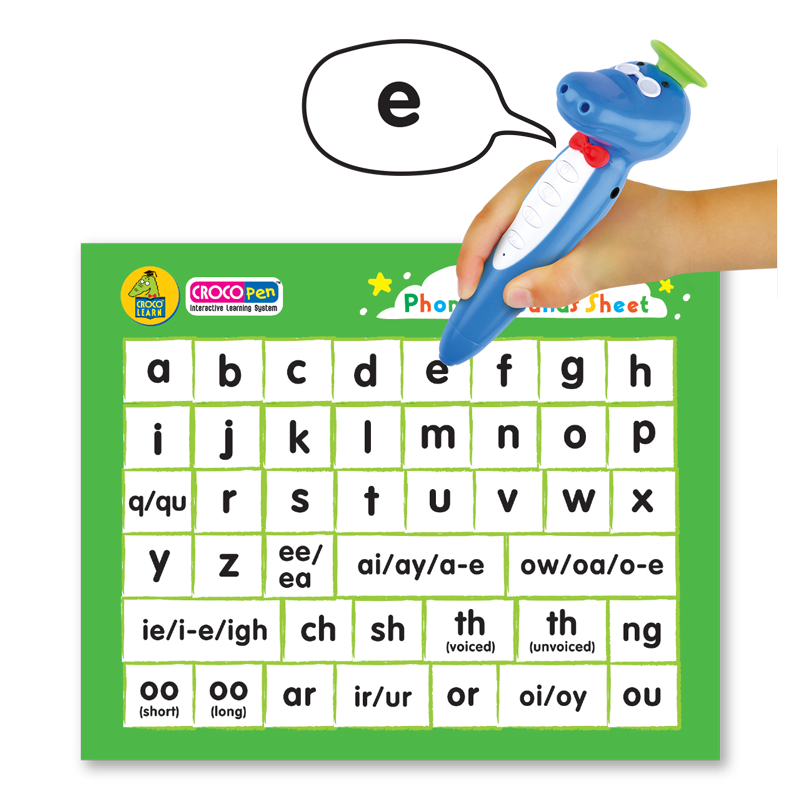 Learn letters, letter sounds, words, spelling, phrases, sentences, and paragraphs. All books include interactive quizzes and games that enhance interest of learning. 300 picture cards with sound indicators under each sound for children to learn letter sounds, blending sounds and word sounds. Grouping of words under phonics letter sounds. A one-stop reference of all 42 phonics sounds. 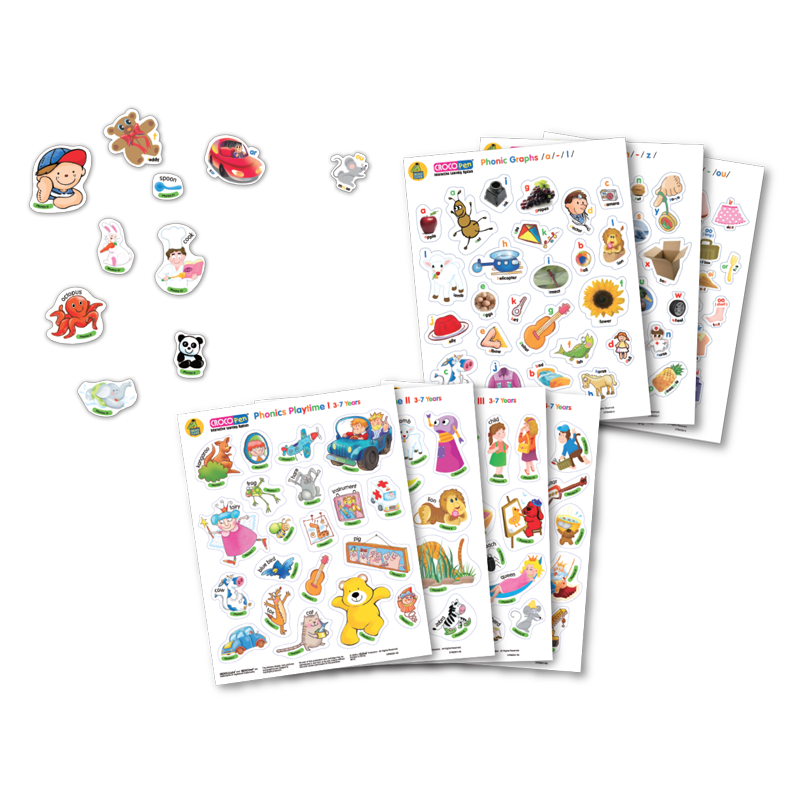 160pcs+ stickers to teach vocabularies of daily objects and letter sounds. A handy operation instruction manual for care, maintenance and trouble shooting of CROCOPen™.